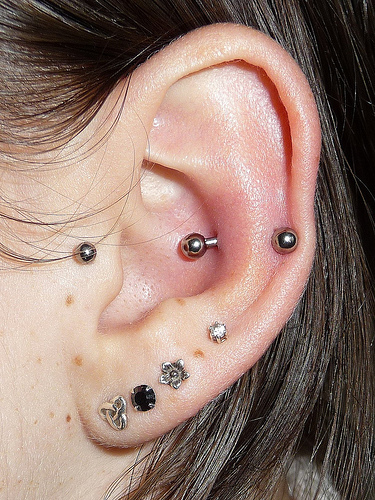 It is the perforation of the antihelix, the innermost ridge of the ear cartilage, above the anti-tragus. 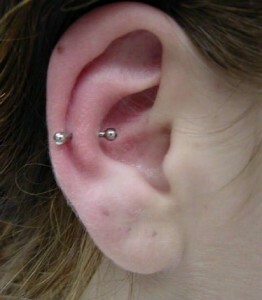 In order to do this interesting piercing, you need to have a prominent inner cartilage ridge. The antihelix is the perfect spot to flaunt some fabulous jewelry. Finding a good piercing salon should be your topmost priority. Snug piercing must be carried out by a highly experienced piercing professional as the inner ridge is one of the most sensitive parts of the ears. After thorough cleaning of the piercing site, the entry and exit points will be marked with a surgical marking pen. A thick sterilized needle is then pushed through the inner cartilage ridge. After the piercing is done, a small jewelry is inserted. It might hurt a lot while going through this process as the antihelix is made of thick cartilage. 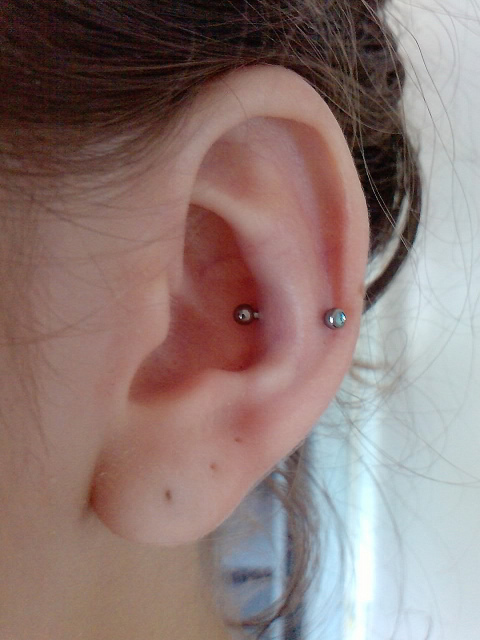 However, the piercing might be less painful if you have a high pain threshold. As with any fresh piercing, bleeding is common but it stops after some time. Soak a cotton ball or gauze pad in warm salt water to clean the piercing with it. It takes approximately 6 to 12 months for the piercing to heal completely. 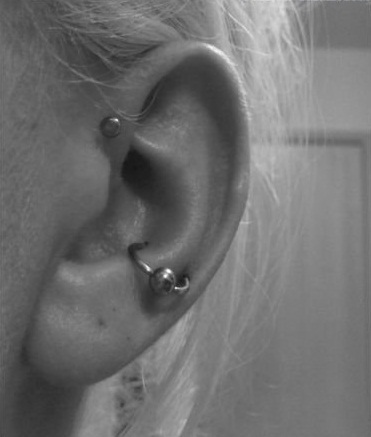 Lack of care can cause infection of the piercing, leading to longer healing time. An infected piercing is characterized by redness, swelling, tenderness, and pus discharge that might cause permanent ear damage if left untreated. 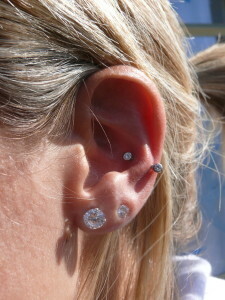 Constant soreness and irritation near the piercing site is a clear sign of a jewelry rejection. If you do not get the jewelry removed in time, it will migrate out and result in scarring. High-quality curved barbells must be worn in the initial stage of healing. Snug piercing also goes well with ball closure rings that come in a variety of colors and designs. 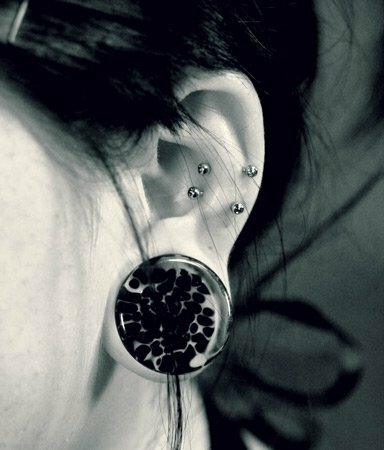 Stud earrings are not recommended for this piercing due to its odd location. 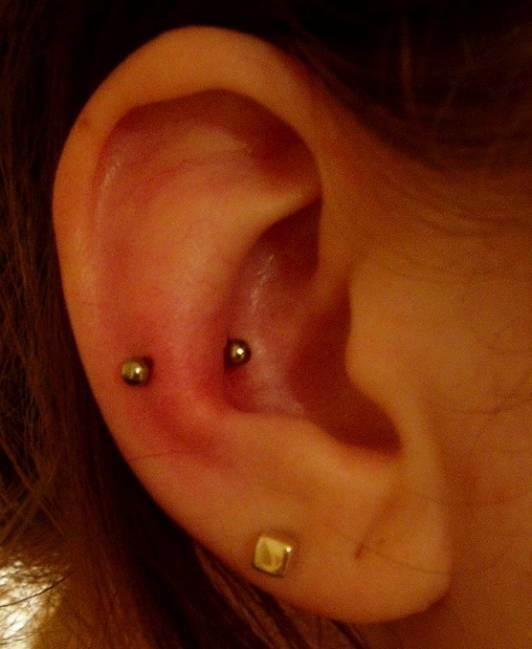 The cost of the piercing in any standard parlor would be anywhere between $35 and $55. 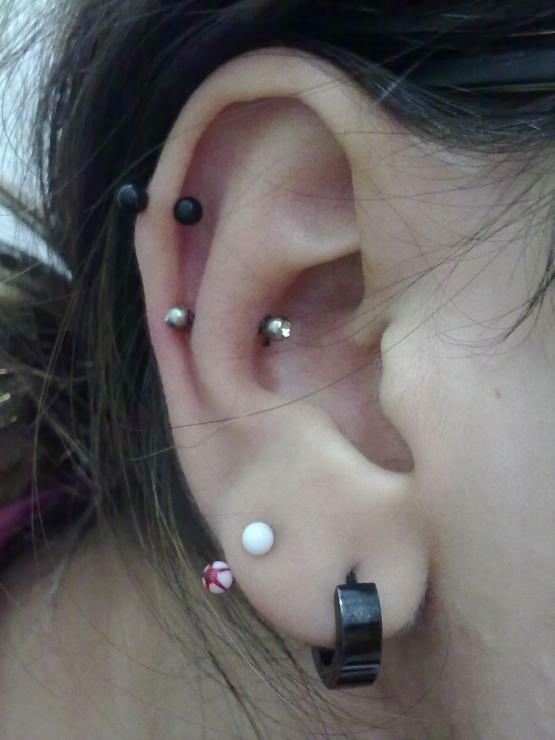 Two piercings are done on the antihelix. 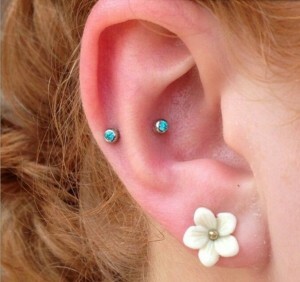 However, the healing time might get extended for this style of piercing. 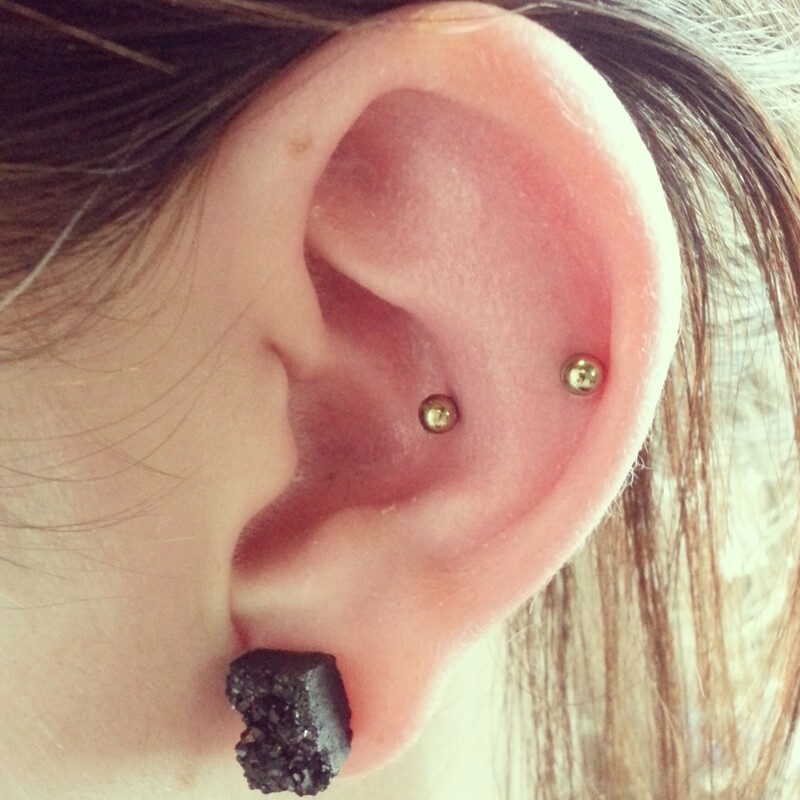 It is a combination of outer conch piercing and lower helix piercing. If you do not have a well-developed anti-helix for a regular snug piercing, you can opt for this one.